The Guardian Warm Roof is a complete replacement tiled solid roof for your conservatory and the only replacement roof option available with building control certification. This can transform your conservatory into a whole new more energy efficient room you can use all year round, almost like an extension to your property but without the hassle! The roof system is designed to replace your old conservatory roof while retaining the original windows, doors, frames and walls, cause minimal disruption and receiving maximum energy efficiency. The Guardian Solid Conservatory Roofs are all tested and approved to the structural standards. The roof is a high performance insulated roof comprising of a lightweight frame, two layers of rigid insulation board, internal insulated plasterboard, exterior grade plywood, vapour membrane and a choice of external finishes. The roofs are thermally, structurally and condensation tested. Are Guardian Tiled Conservatory Roofs the right solution for you? 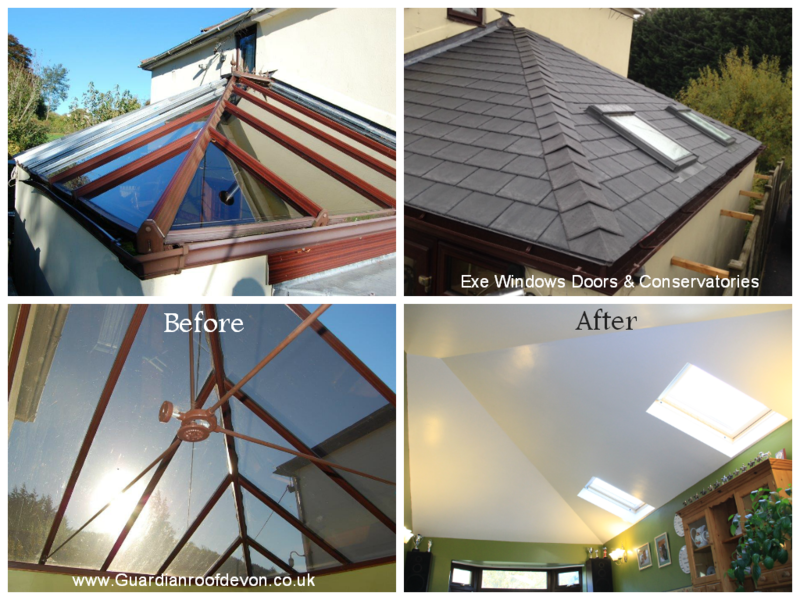 Find out in our FAQ Section on our dedicated website Guardian Roof Devon this is one of our other websites designed to give you all the information you need about these roofs, Exe Windows Doors and Conservatories will always supply & install the roofs. We are Devon's Guardian Warm Roof verified installer, click on the image below to see our profile. 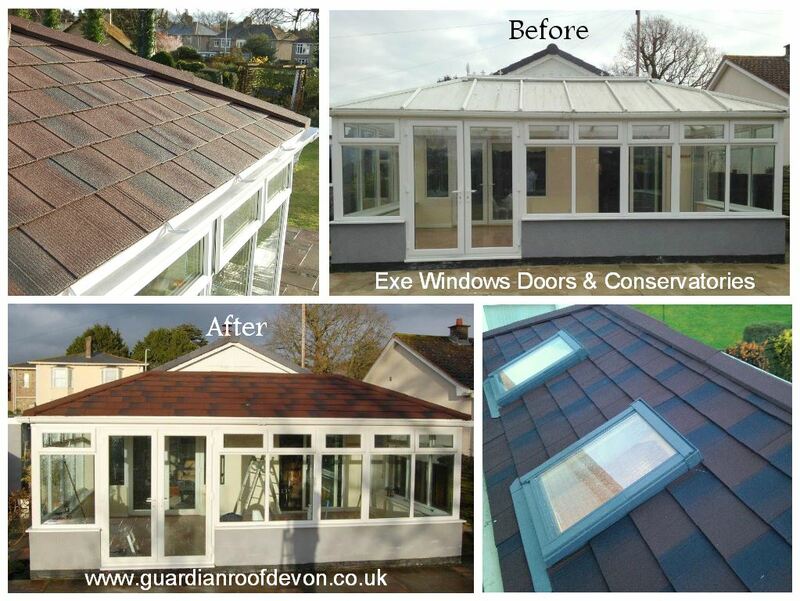 For more information about replacing your conservatory roof in Devon with a new tiled solid roof system or if you would like us to give you a quotation for a Guardian warm roof system, Contact us today or Download a Brochure here. 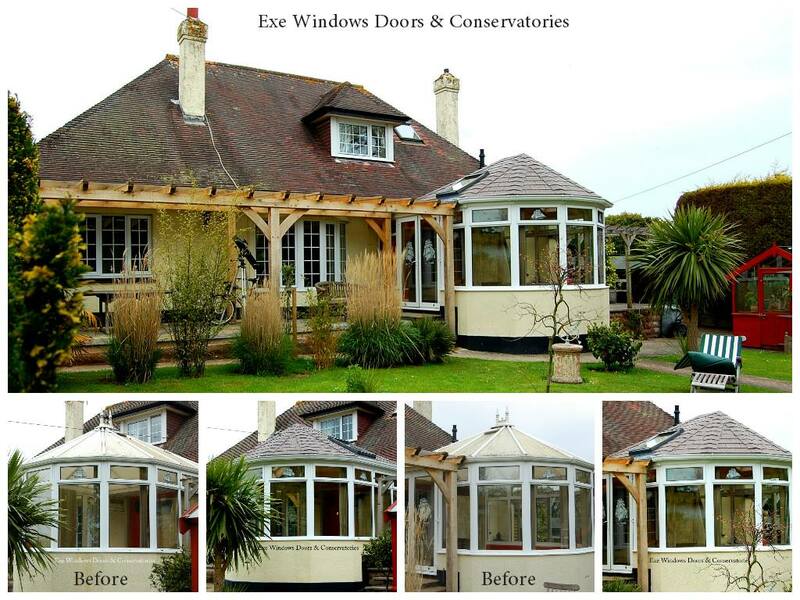 Please click on the images above for full Case Studies including pictures, testimonials and a description of the tiled conservatory roof installations. Please click below for interesting and helpful blog posts relating to home improvements and double glazing.